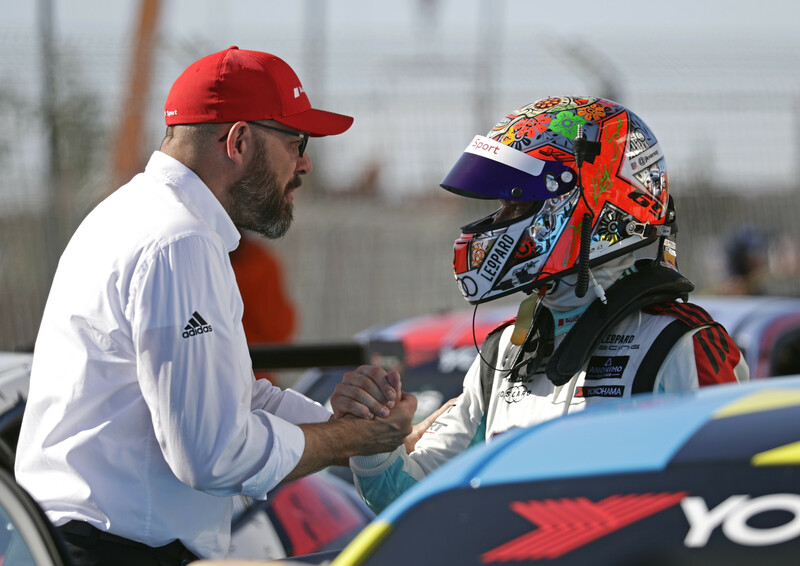 Five points finish out of the six possible and one podium thanks to a brilliant second place in Race 2 for Jean-Karl Vernay: it was a positive season debut in the FIA WTCR Cup for Team WRT and the Leopard Racing Team Audi Sport-entered Audis R3 LMS. Still, the weekend ended on a sour note, as Vernay suffered a severe crash in the final laps of Race 3, because of a brake failure, but fortunately the Frenchman escaped unhurt. He already had his share of frustration after Race 1 when he was deprived of 3rd place and podium following a 5-second penalty for a race incident. Scoring points in all three races, Gordon Shedden showed great consistency, taking a seventh (in Race 3) as best result. The first Qualifying session, on a slippery track after some rain, yielded a ranking that proved how close the competition is this year, with the 21 first cars covered by only one second! 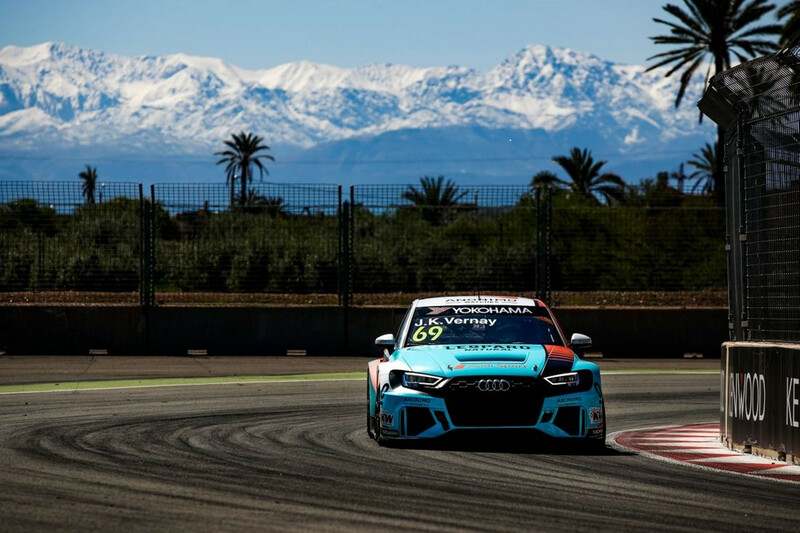 Vernay, seventh-fastest and first among the Audis, proved the competitiveness of the RS3 LMS while Shedden suffered from a minor suspension issue, finishing 23rd. Both drivers climbed one position on the actual grid because of Muller having to change his engine and demoted to last position as per the regulations. In Race 1, Vernay, very effective in the initial laps, managed to climb positions to cross the line in third, but was deprived of the podium because of a 5-second penalty for the slight contact he had with Priaulx when he overtook the Brit. He was dropped to 7th position (still the best-placed Audi), while Shedden managed to finish in the points, after a solid race despite starting from the back. On Sunday, drivers found warmer weather and completely different track conditions. 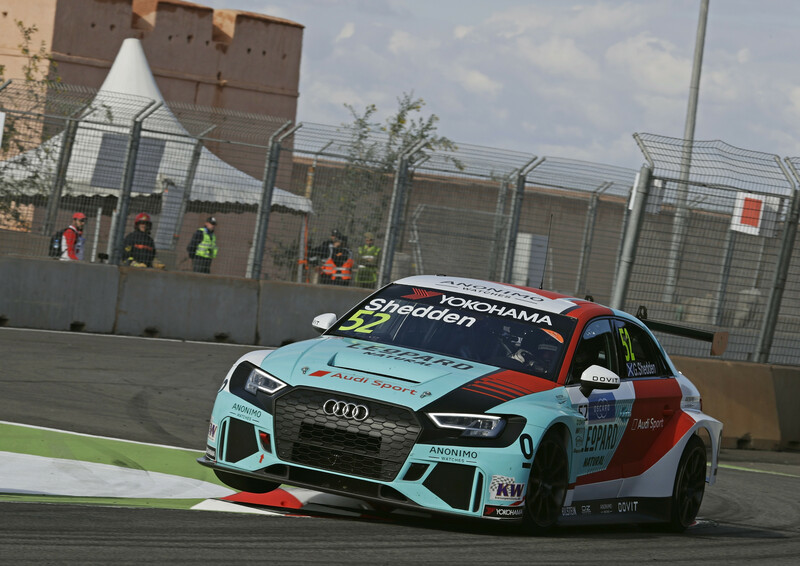 In the second Qualifying session, both Vernay (3rd) and Shedden (10th) made it to Q2, where Vernay took eight-fastest despite taking the track later than rivals following an issue with the on-board extinguisher system, while Shedden was 12th. Race 2 went relatively uneventful, with all drivers trying to avoid trouble and preserve their cars for Race 3. Vernay started from P3 on the reversed grid and kept the position in the initial laps, pulling away from the rest of the group. The turning point of the race occurred in lap 11 when Catsburg, the leader of the race, hit the track tire stacks, prompting the safety car out. Tarquini inherited the lead and Vernay second place. His team mate, starting from P17, had another faultless race and managed to take another point. Race 3 offered immediate first lap drama, as Guerrieri, Ehrlacher and Monteiro collided on turn 7, forcing the safety-car out. Vernay (6th) and Shedden (9th) avoided trouble and positioned themselves well for the restart, gaining an additional position when Muller, in the lead, retired. Unfortunately, the last surprise of the race would involve Vernay who, left with no brakes, hit the wall hard on lap 21. Luckily, the Frenchman reported no damage, unlike the car. Gordon Shedden crossed the line an excellent seventh.